A novel place to dine. 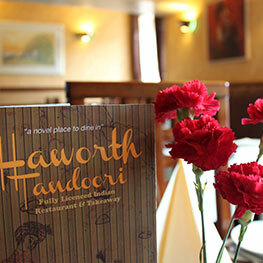 We are one of the finest & oldest Indian restaurant in the historic town of Haworth. 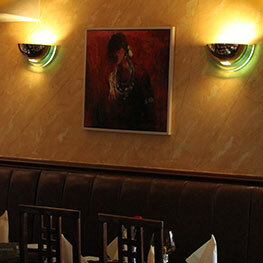 We can cater for upto 40 people in our restaurant, and our great takeaway service comes with 15% discount. 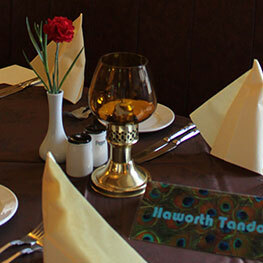 Our highly experienced staff will ensure your visit to Haworth Tandoori is a memorable one. 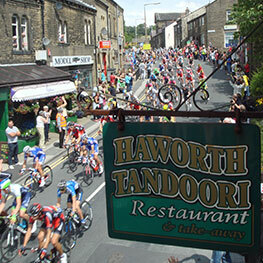 Haworth is famous for many things, it is a wonderful place and we are priviledged to be part of it. Our experienced chef's take every care to create a perfect mouth-watering dish everytime! Available Sunday & Thursday, view flyer for more info.